RED BEAN ARMY BEHIND THIS..? If its not them (RBA)then who is it? Of course the calls have come from DAP Sarawak leaders who were heard calling for CM Taib to step down immediately after the 2 years grace was up. DAP has taken literally what CM Taib has said that HE WILL STEP DOWN IN 2 YEARS TIME OR IN MID-TERM. Many ‘ceramahs” which audie61 squad attended during GE13 in Kuching the attacks were directed at Taib Mahmud. 2.DAP Julian Tan says our SWak BN Parliamentarian only go to SLEEP after they win.Hit out at Sulaiman Taib. 3. BN SUPP candidates CLEAN n JUST shd hv CM face.Why u hitting at CM? Is DAP CLEAN? Julian Tan convince us n dun belasar CM Taib. We ask DAP whether Taib needs to step down? He can if he decides too but he has a perfect 35 to NIL mandate from his party PBB. Also BN won 55 out of 71 seats in 2011 Sarawak State Elections. I did speak to a number of BN YBs a few days ago on this subject and asked why CMs loyalists have been so quiet? Are they under instructions to zip their mouths? Someone must take the lead I said to at least fight the intrusions from outside or worse from the inside. Bravo! Bravo! to Chief Political Secretary and lets see now how many out there will start to fight for CM Taib. MIRI: Sarawak Chief Minister Tan Sri Abdul Taib Mahmud’s loyalists believe “hidden hands” within the country are behind recent mounting pressure for their chief to relinquish his post with immediate effect. They were eager to remove Taib as he was seen as a stumbling block to their agenda to make Sarawak “politically and economically a free for all state,” according to Parti Pesaka Bumuputera Bersatu (PBB) leaders, who declined to specify if the hidden hands came from Kuching or Kuala Lumpur. Responding to reports that Taib might serve a full five-year term in office instead of mid-term, political secretary to the Chief Minister Abdullah Saidol told The Star Online that the accusations hurled at Taib recently were an integrated effort to tarnish the image of his boss. “They are trying to smear Taib’s image and create a situation so that he will be forced to step down immediately although technically he can stay on until the end of his term in 2016,” said Abdullah, one of the younger group of PBB leaders fully supporting their party president. “Sometimes, I cannot help but think that there are people in the higher echelon within the country trying to force the chief minister to retire. It is not difficult to understand why now there is an integrated smear campaign against Taib,” added Abdullah. He said that Taib had consistently maintained long term policies to safeguard the interest of the state for the benefit of Sarawakians. “Take for example our effort to manage our forest resources with a sustainable ITTO certified management. Yet, ridiculous accusations are being made and weird enough, some ignorant people believe these critics,” he said. Abdullah said even the state’s effort to develop palm oil plantation had become the target of critics. We believe in maintaining peace and harmony in Sarawak so as to enable our development plans to be executed smoothly especially in rural areas. “We reject any effort by any quarter to disunite us for their own political ambition and economic control,” said Abdullah. Natasha gave Augustine a phonecall eventhough she has not fully recovered. Bro she said” read this and reposts the article and this is where the good is separated from those who dont have passion,commitment and the political will to fight for a good cause. The bloggers,facebook strategists must know their materials and what they set out to do and must be able to convince the young minds who make up nearly half of the voting strength in GE13. She continued we are in the position to be part of the winning team and unless the authorities think otherwise we would know where we go from here. We will know what to do when the time comes and the management of audie61 will weigh up all contigencies. OK Augustine said,”I’ll get it up and running and see how the response is. WE REPOSTS HERE FOR THOSE WHO ARE ON THE SAME WAVELENGTH WITH THE DEPUTY MINISTER..ZOOMING IN..
Malaysian Digest) – Content by Barisan Nasional (BN) cybertroopers and across social media platforms will determine the ruling coalition’s success in the next general elections, says Umno supreme council member Datuk Saifuddin Abdullah. 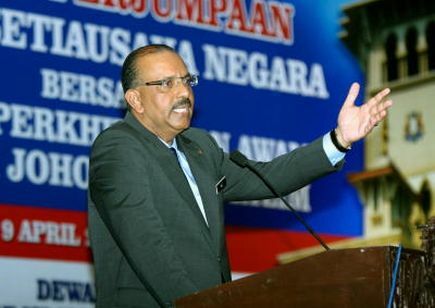 The popular deputy minister said BN had learnt an important lesson from its worst electoral performance in Election 2008 due to its failure to conquer the cyber-world which was then dominated by parties that eventually formed Pakatan Rakyat. “We were not there (cyber world) in 2008… we handicap. We lost at that time, because of that we lost young voters. “But now BN is prepared, we have a team of bloggers and new media known as “BN cybertroopers”, the difference now is the content of the media,” the Temerloh MP told The Malaysian Insider in an exclusive interview. BN lost its customary two-thirds majority in Parliament and lost four states Pakatan before Perak fell back into its fold in 2009. Part of the defeat was attributed to BN snubbing social media websites in 2008 when a growing number of voters were internet-savvy. Saifuddin, who often comes out with views that differ from other Umno leaders, explained that the BN and Umno’s top leadership are now seen to be active in social websites such as Twitter and Facebook. “We look at Prime Minister Datuk Seri Najib Razak, he’s very active with the new media as general elections draw near, compared to previous BN leaders. “It can be said that the majority of leaders now are active in using the new media,” said the Deputy Higher Education Minister. He stressed that BN and Pakatan’s new media unit are equally matched in strength, and they only differed in the contents of their blogs and websites. “We are equally strong… but the contents will determine voters’ choice. “If they (voters) feel our content is good, they choose us; but if Pakatan is good, they choose Pakatan,” he said, adding that BN is now starting to realise that the great influence of social media would determine polls result. Saifuddin said that 90 per cent of the youth learn about the country’s political developments from the new media, in reference to a study by a Universiti Teknologi MARA Malaysia (UiTM) political science lecturer. According to the study by Prof Dr Shaharuddin Badaruddin, 60 per cent obtain information from alternative media, 25 per cent from the mainstream media such as television, and only 15 per cent obtain political information through newspapers. This proves that the contents of alternative media, which are more convincing and more “persuasive” in nature, will enable political parties to win votes and support, Saifuddin said. With young voters and middle-class voters making up 30 per cent of the electoral roll, they are likely to determine the victory of political parties that contest in the general elections. He said that with the changes and access to social media, the “rural” and “urban” terms are merely physical differences. Saifuddin said the demands made by middle-class voters are getting more and more complicated. “Key issues such as basic infrastructure is no longer the main issue for them, because of that Fardhu Ain. He said that various schemes announced by Najib during the tabling of the Budget 2013 such as the Bantuan Rakyat 1 Malaysia and book vouchers are not adequate to gain the support of this group. “They receive the government handouts, but they want more than that because they think such actions would be carried out by any party in power. Saifuddin saw Najib’s reforms in matters of freedom of speech, right to peaceful assembly and the repeal of the Internal Security Act (ISA) would potentially draw support from this group of voters. “The transformation carried out by Najib does not normally come from Umno leaders. 1 of 222 Malaysian Members of Parliament…. Over the long Gawai weekend it was not only a time of celebration,exchanging pleasantries but also many political gossips especially from the grassroot and voters from the constituencies. One particular area which is basically a semi rural seat where the local flavour/winnable,humble and acceptable candidate is very much the order of day is none other than Mas Gading 192 Parliamentary seat. Its also an understanding between the Jagoi/Singai group that in 1996 they drew out an agreement that one of the clauses stated that when the MP is from the Jagoi community then the assemblyman has to be from the Singai group. politiking it is now SPDP’s choice which is Salcra deputy general manager Anthony Nogeh as their pick for Mas Gading in the coming 13th general election. OK they say to keep the peace as per agreement,Henry Jinep will have to contain with a state seat in the next elections replacing Tasik Biru incumbent Peter Nansian while Nogeh will be the replacement for Tiki Laffe. 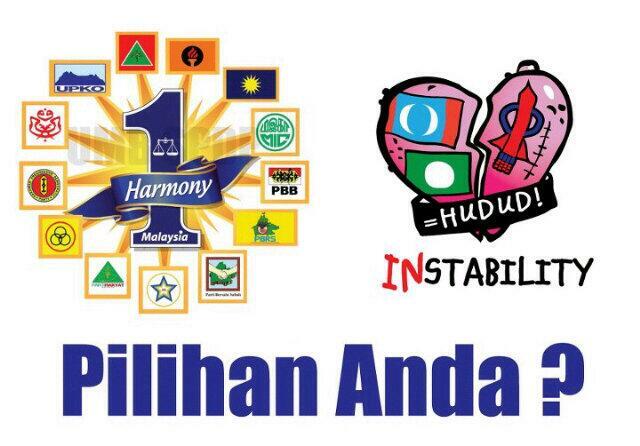 Its not about the state elections now this is about the Parliamentary seat where DAP/PKR are in direct tussle,STAR and other independants are also eyeing this seat. He does however look arrogant but in actual fact he is approachable and has a listening ear to his constituents. Many feels that the Federal leaders are still very much in favour of Tiki as they have extended his tenure as NSTC(national service training camp) Chairman. SPDP will have their hands full this time round unless Tiki tells us otherwise. We came across this statement from an internet portal and this bests describe what we meant by picking 1 is difficult whatmore 222 candidates for Malaysia Parliament. Malaysians should choose their leaders without fear or favour and support those who can deliver the goods. Candidates with tainted background should be removed. Only those willing to sacrifice and serve the people should command the respect and recognition of Malaysians to safeguard and strengthen the future of the nation.